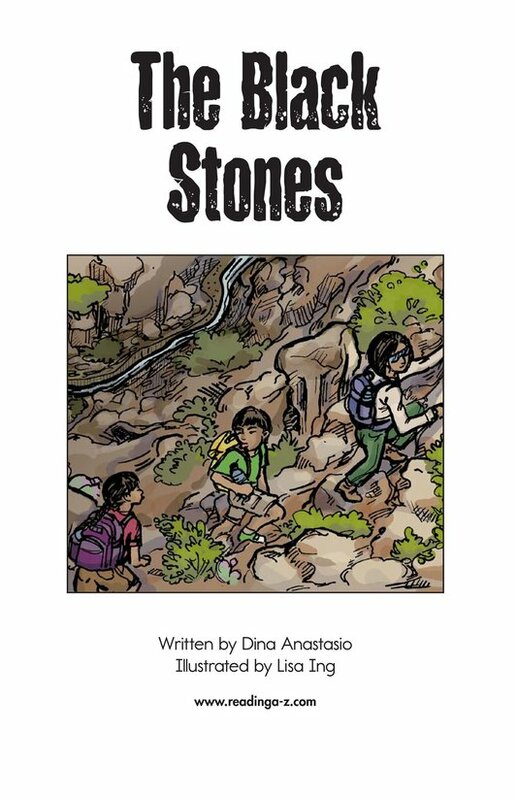 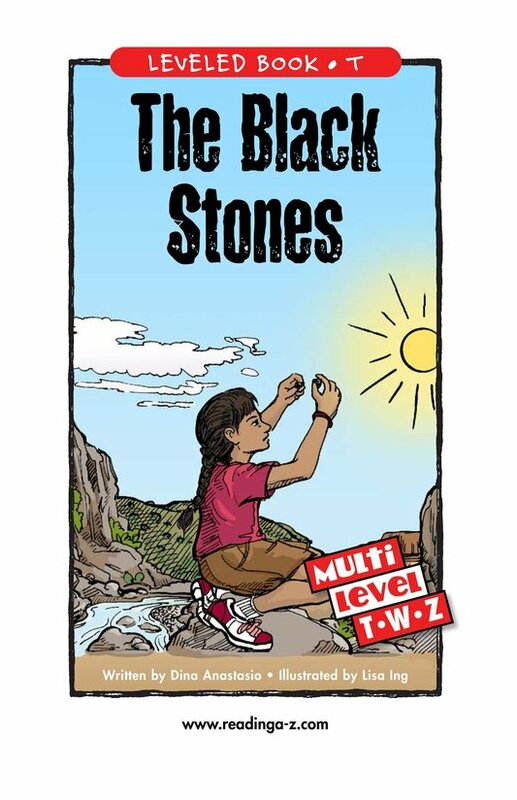 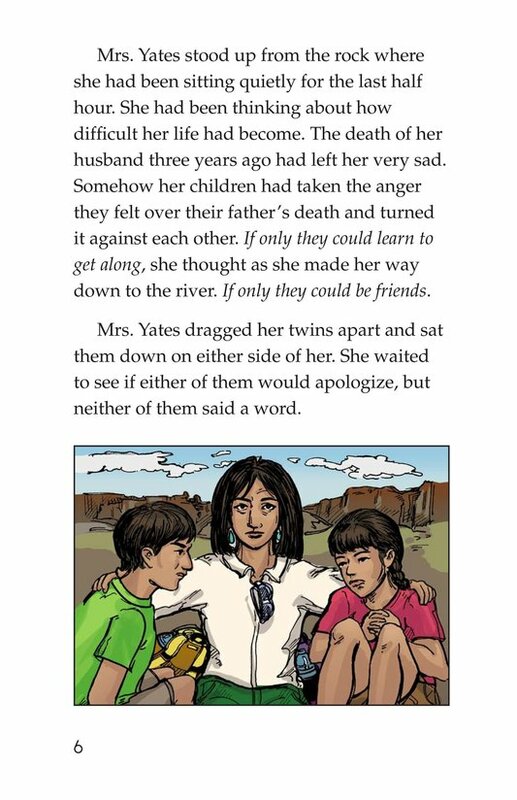 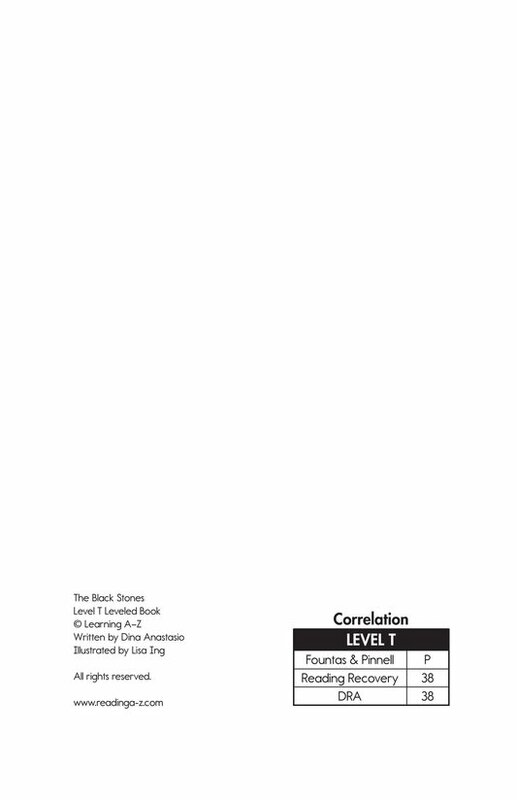 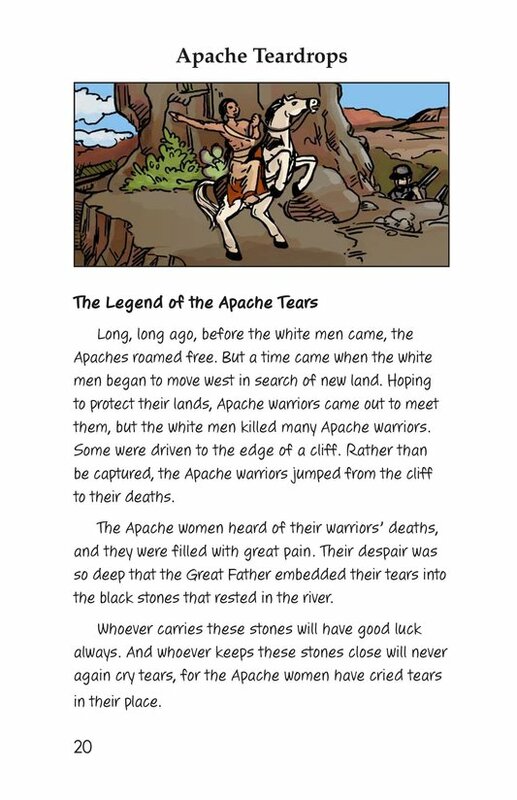 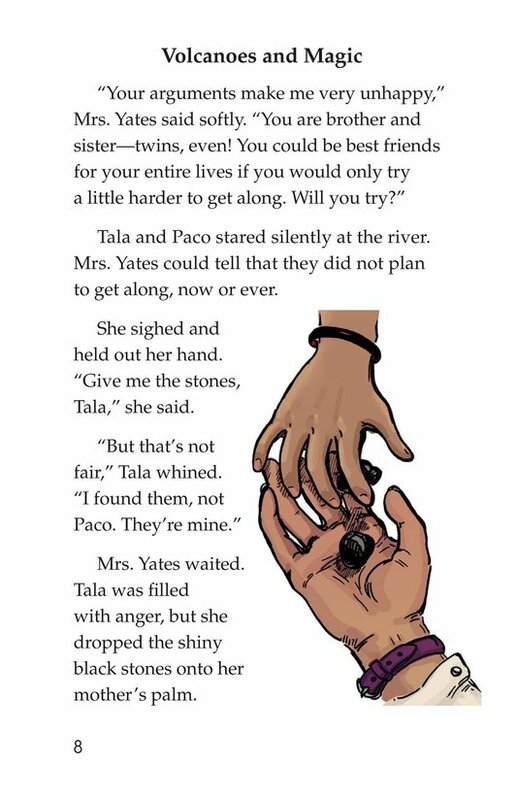 The Black Stones tells the story of twins who learn to put aside their differences and get along with each other. 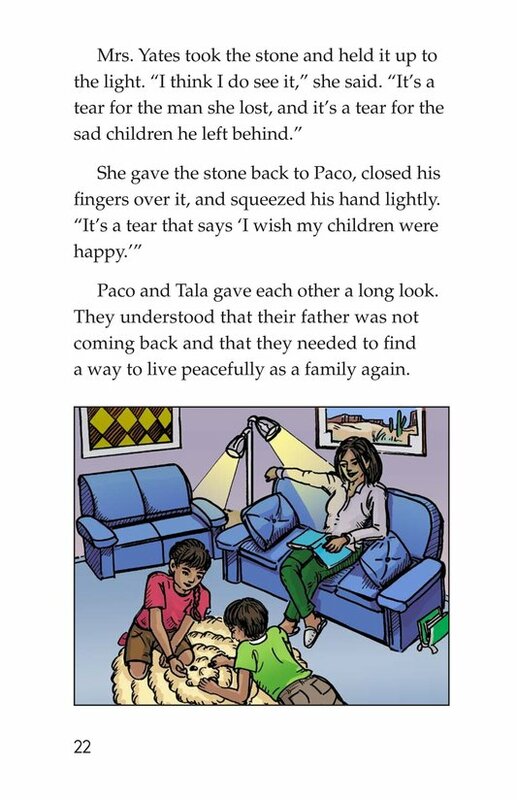 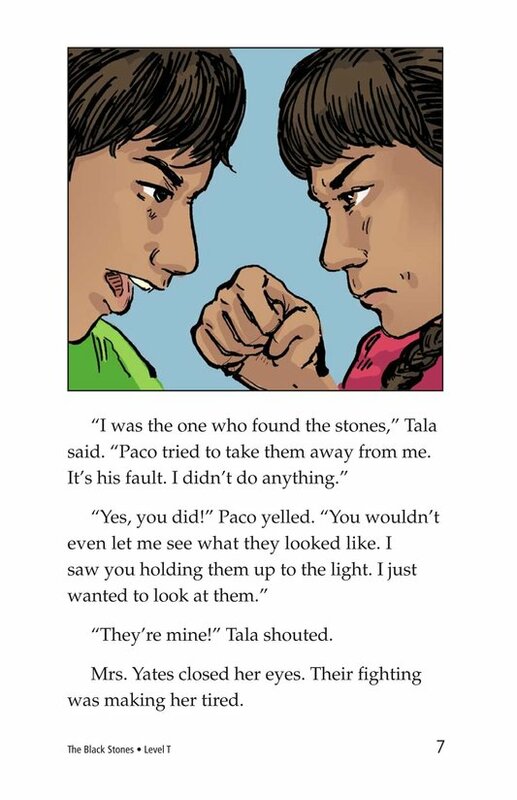 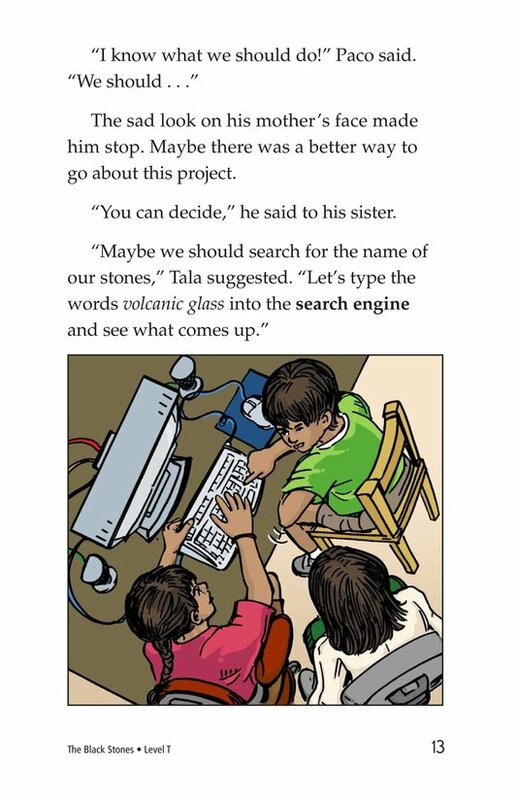 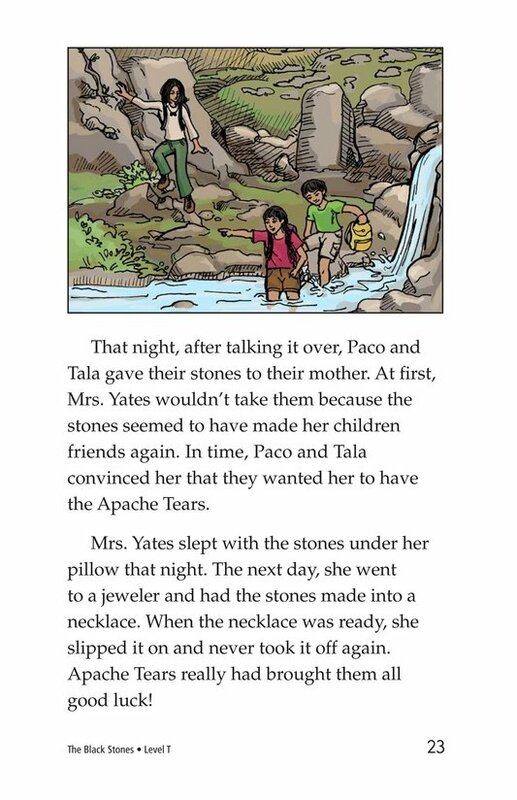 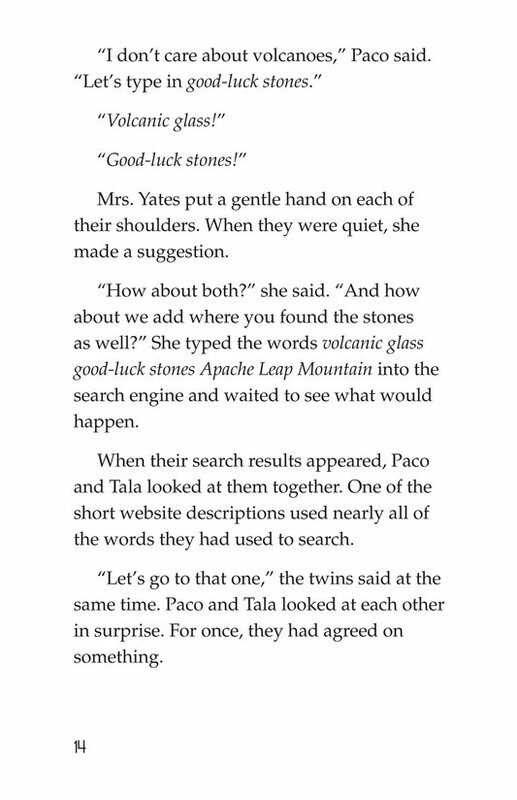 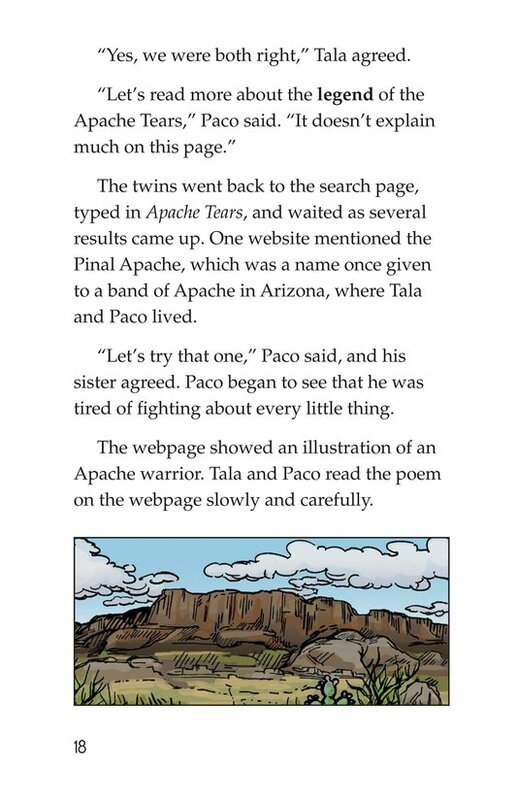 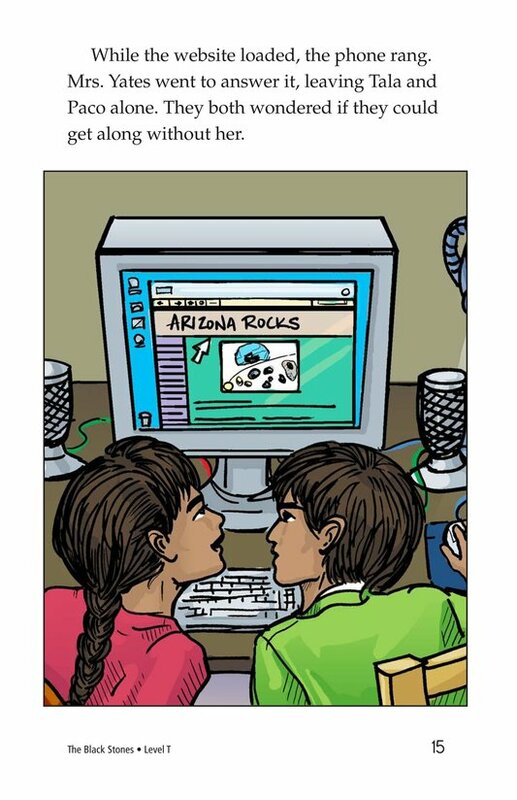 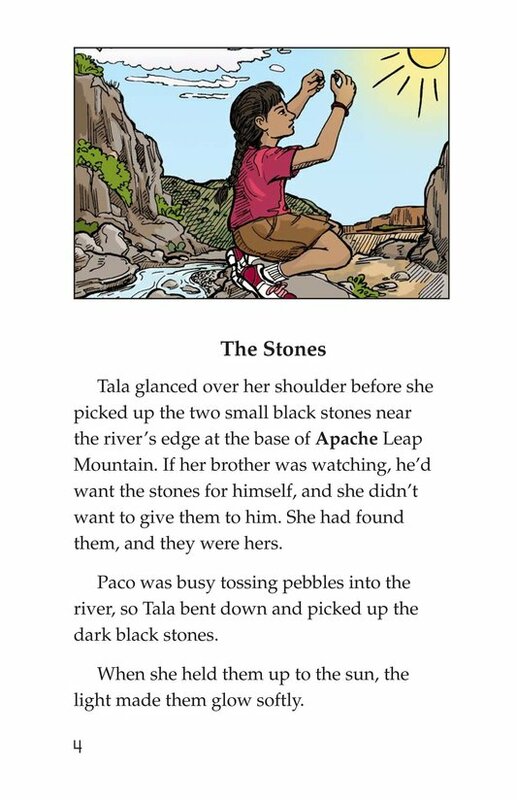 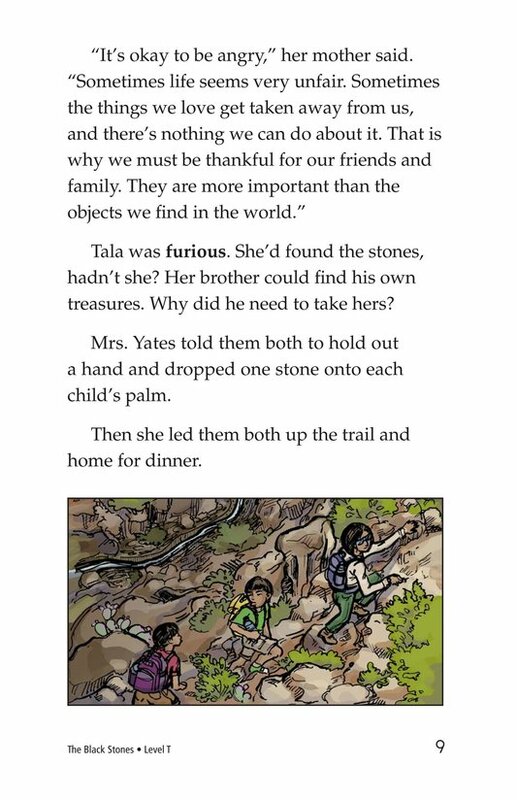 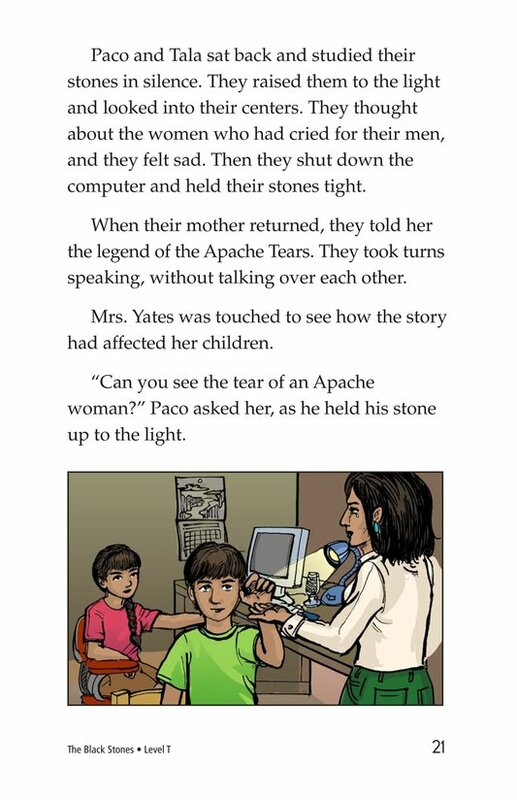 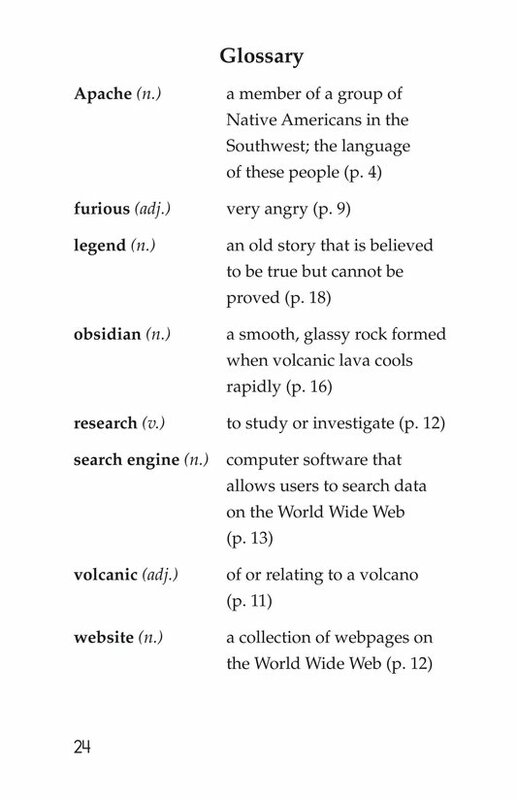 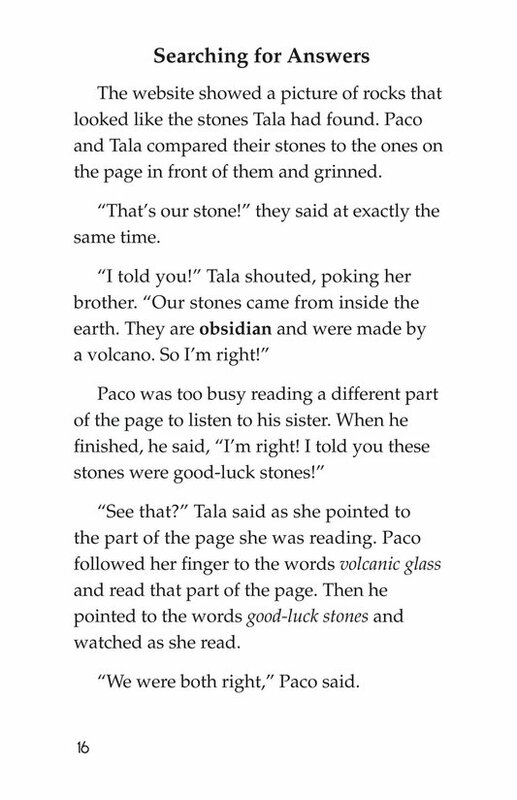 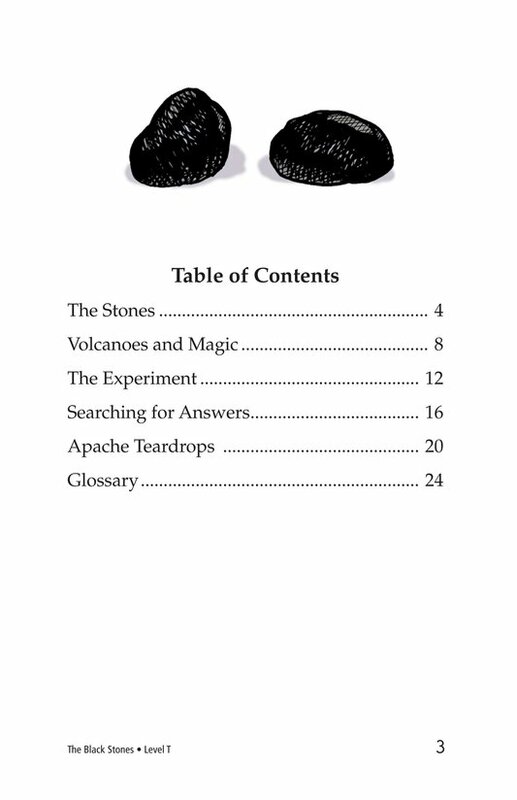 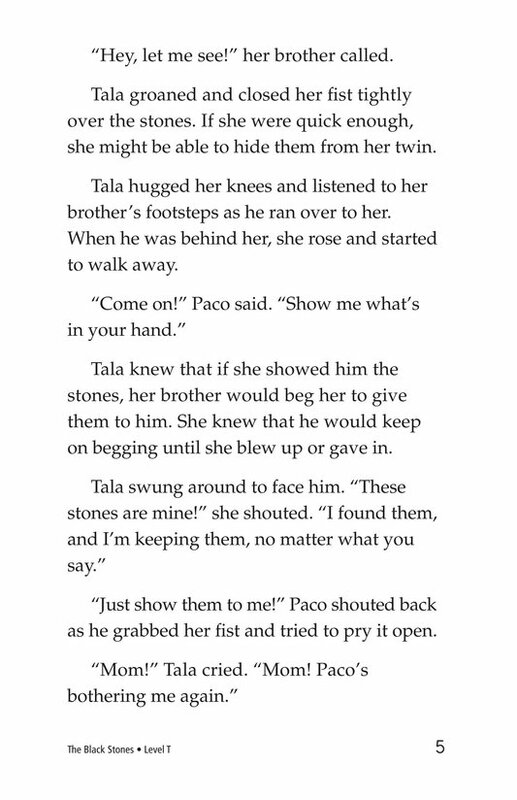 Tala finds two obsidian stones and wants to learn more about how they were formed from a scientific viewpoint. 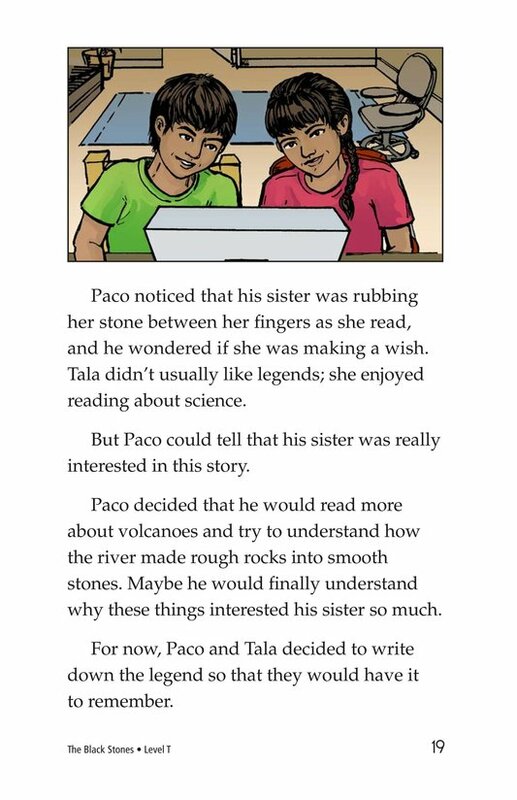 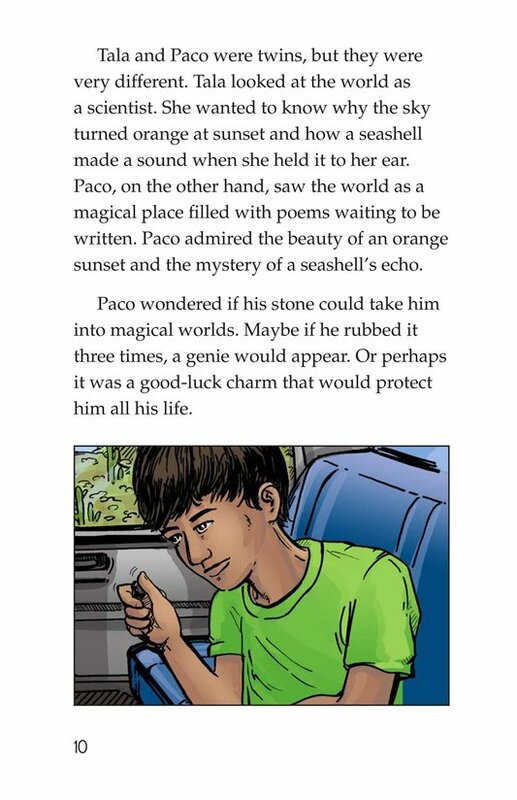 Her brother, Paco, isn't interested in science and wants to find out if the stones are lucky charms or have magical properties. 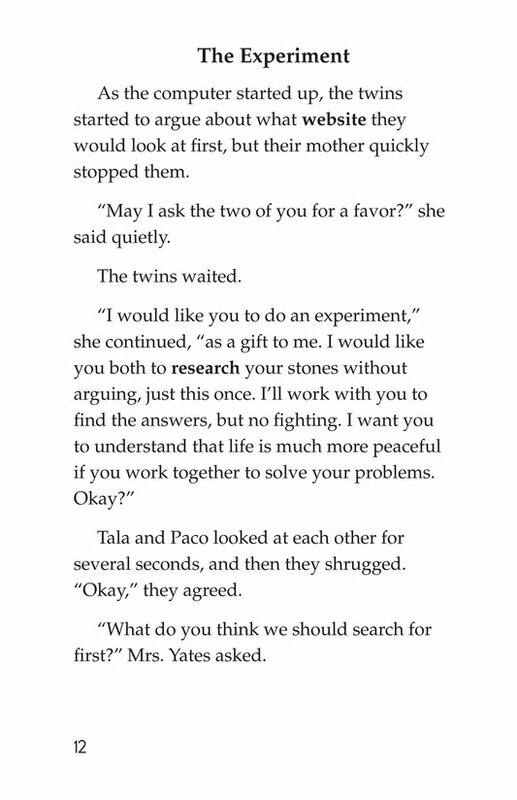 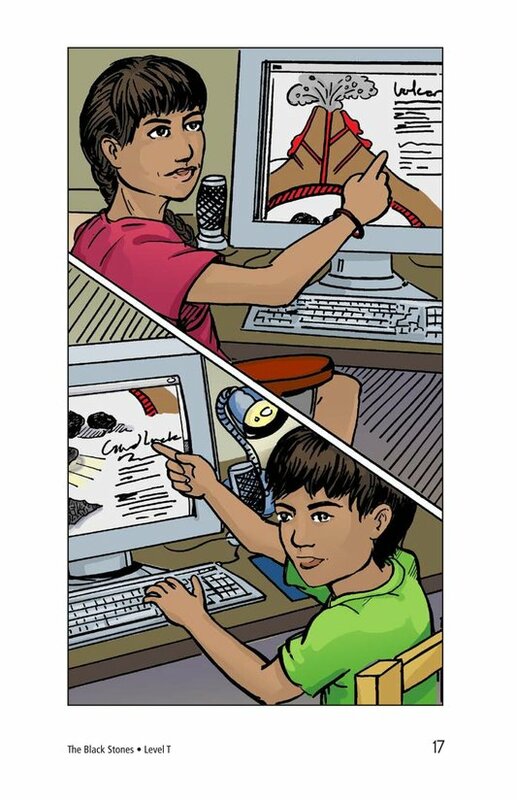 Their mother forces them to work together to find the answers. 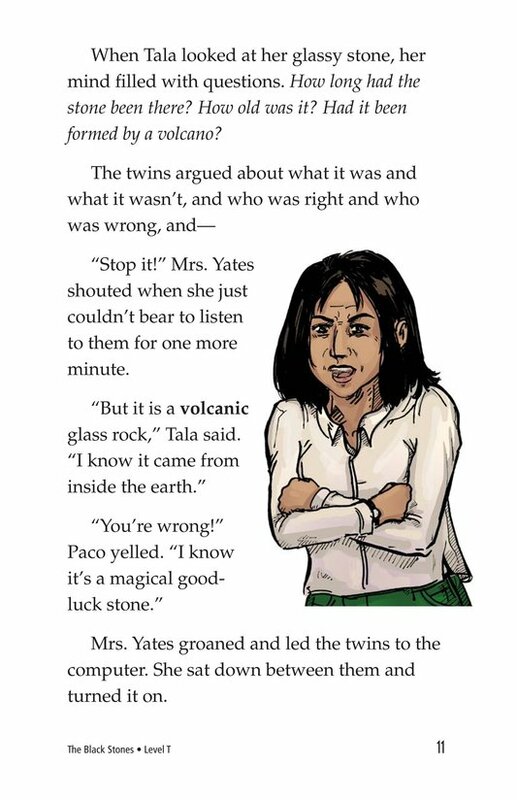 The twins discover that they actually enjoy working together.